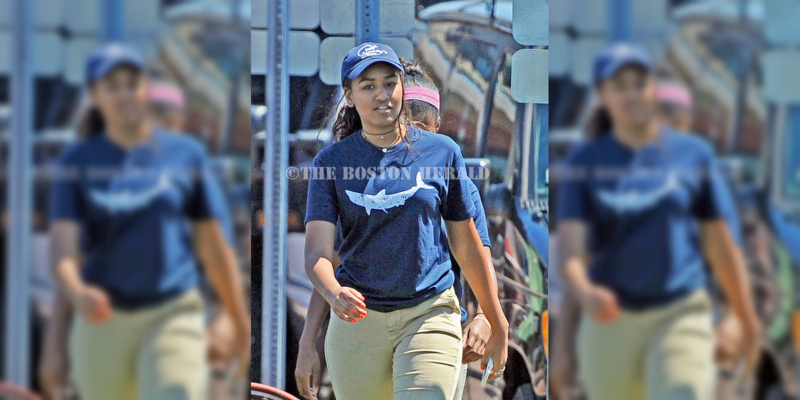 15-year-old Sasha Obama has grown up in front of the world, but her parents have made it clear that they want her and 18-year-old Malia to live as normal a life as possible. For Sasha, a quest to be like any other teenager includes an entry-level summer job. According to the Boston Herald, Sasha is working the cash register and cleaning tables at Nancy's seafood restaurant in Oak Bluff, MA. Sasha uses her full name, Natasha, at work, and she comes in for the early shift that ends just before lunch. Of course Sasha still must monitored by Secret Service during her quick gig. Six agents park outside of the restaurant and occassionaly come in to sit. Clearly, Sasha isn't working for spending money. She'll only be at the job for a few more days until her parents head up to Martha's Vineyard for their annual family vacation. It's nice to see Sasha and Malia stay humble when they have every reason to be the opposite.